Despite the perceived wisdom, research has shown that women are pretty good at navigating. They just have a different approach to men, often relying on landmarks. If I’m embarking on a journey that I undertake infrequently I certainly rely heavily on key physical features: The park, the petrol station, the shark in the rooftop. Not up to me usual picture quality I know, but the double decker was moving and I was using my phone camera. It’s mostly here to prove that I’m not making this story up. 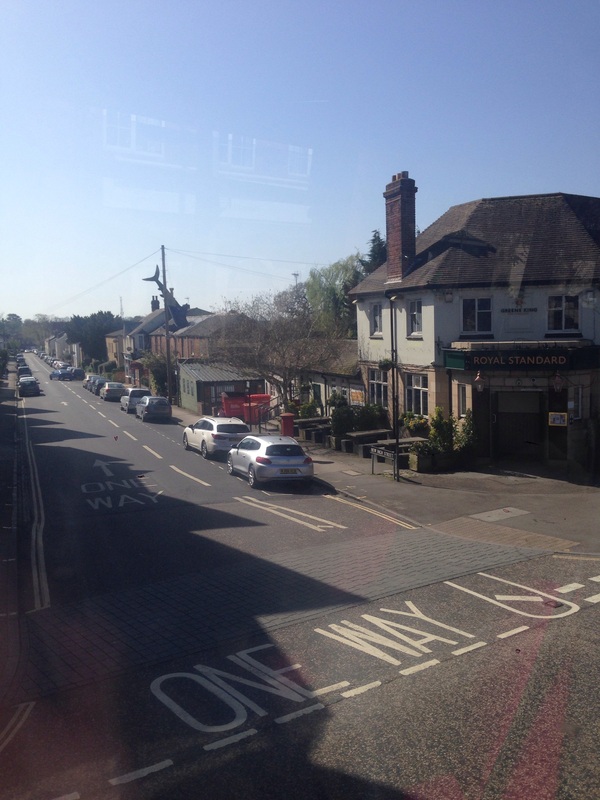 Passing the Headington Shark signifies the end of my inter-site bus journey. Time to stop reading my work emails and pack away my knitting. Knitting? There might be enough for a blanket, I haven’t done the maths yet. What do you think? As someone who is not very good at navigating but who absolutely does it by landmarks I agree. I love hexagons and think they would make a very good blanket, since you ask. 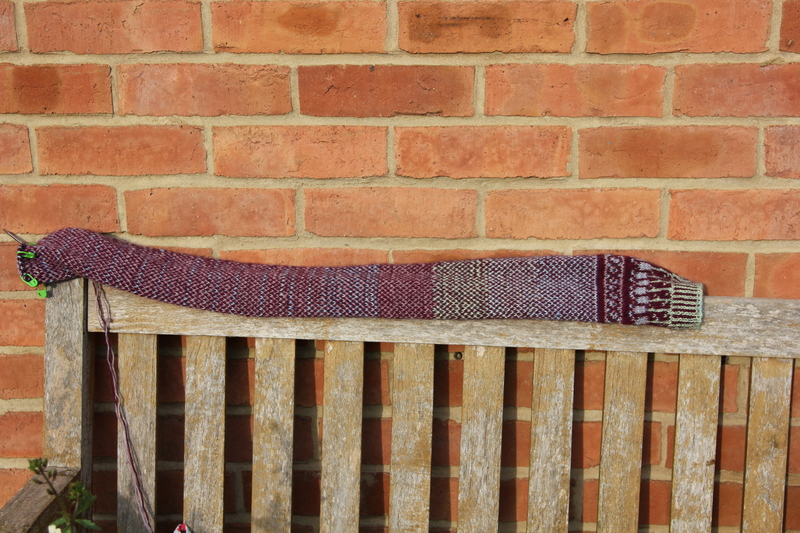 But most of all I love the slow growing scarf and how it obviously loves lazing around on the wooden bench in the sunshine like a snake. I think that hexagons make good blankets too and I’m slowly falling back in love with the scarf! I must admit I thought for a while that using landmarks was ‘wrong’, it’s just different… And thank you!